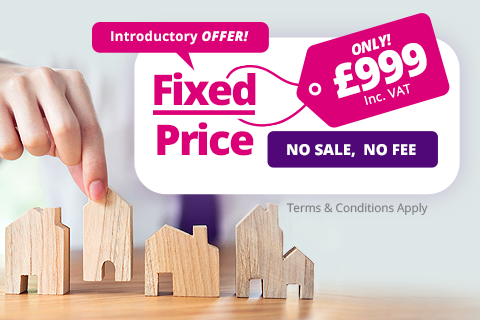 £999.00 inc vat fixed price, no sale no fee for all properties sales less than £1,000,000. Minimum advertising term 12 Weeks, sole agent only basis, 14 days written notice after initial term expired, any other agents instructed before notice has expired the full fee becomes payable within 30 days. Dual Fees: Introduced buyers through other agent within 6 Months fee still applies or introduced buyer direct sale within 2 years of our services ending. All 3rd party costs must be paid for in advance.